I used to go all out for New Year’s Eve – I’d invest in a gorgeous sparkling number, wear sky-high heels (which usually ended up thrown off at some point), and do my makeup and hair special for the occasion. What I found though, is that I never wore the dress again. I once spent nearly $1,000 on a gorgeous green sequined Halston Heritage dress for New Year’s Eve, only to wear it once and then have it hang in my closet forever. I still own it, but let’s face it – this girl isn’t going to fit into a size 2 ever again! With all that out on the table, I still like to dress up and look the part on New Year’s Eve, I just don’t want to spend a fortune to get that way. 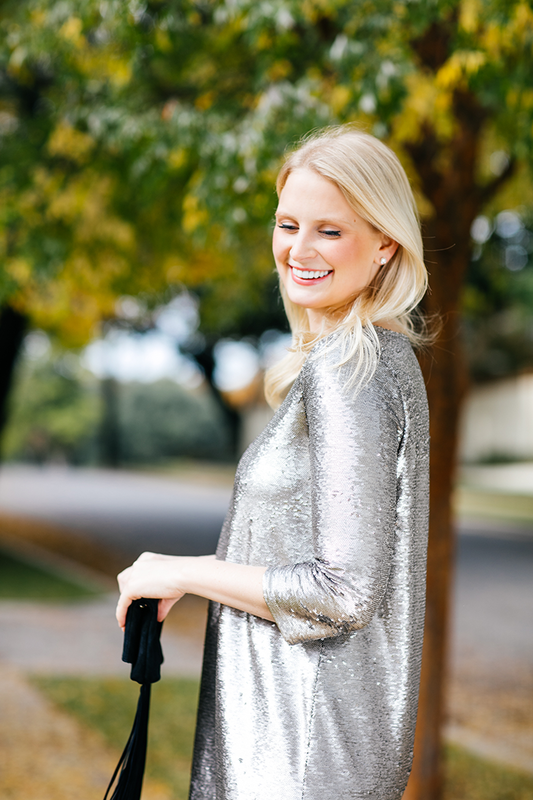 This year I found a simple sequined shift that’s perfect for the night. This dress also just so happens to be only $112. Now THAT price I can get on board with. This pretty dress also comes in a burgundy option! I love that it’s not too short and it has sleeves – that means if the weather ends up being mild, I won’t even need to cart around a coat! If you’re on the hunt for the perfect party look, I’d try BB DAKOTA. They’ve got gorgeous pieces at even more amazing prices. Just a few more I’m eyeing include this illusion-neckline lace dress, this ombre sequined sheath (now under $100! 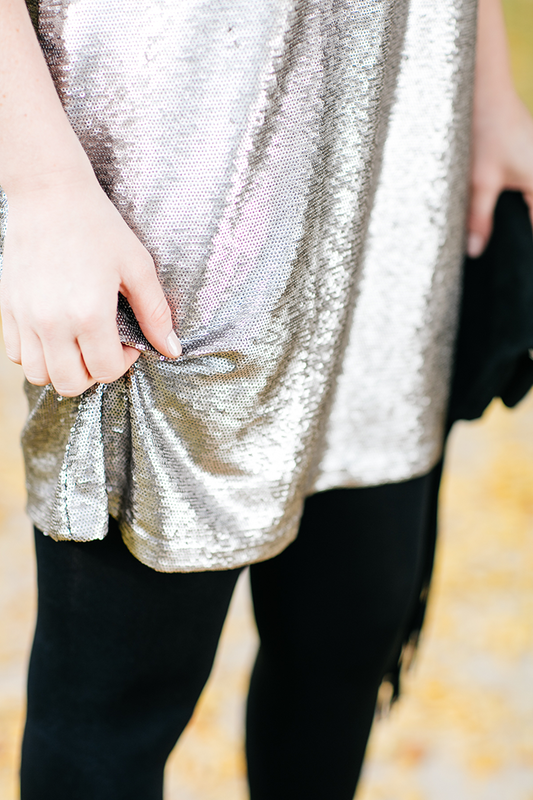 ), and this sequin fit-and-flare number. Oh, and if you do need a jacket to wear with it… this faux leather beauty (also by BB DAKOTA) is one I picked up during all the Black Friday sales! 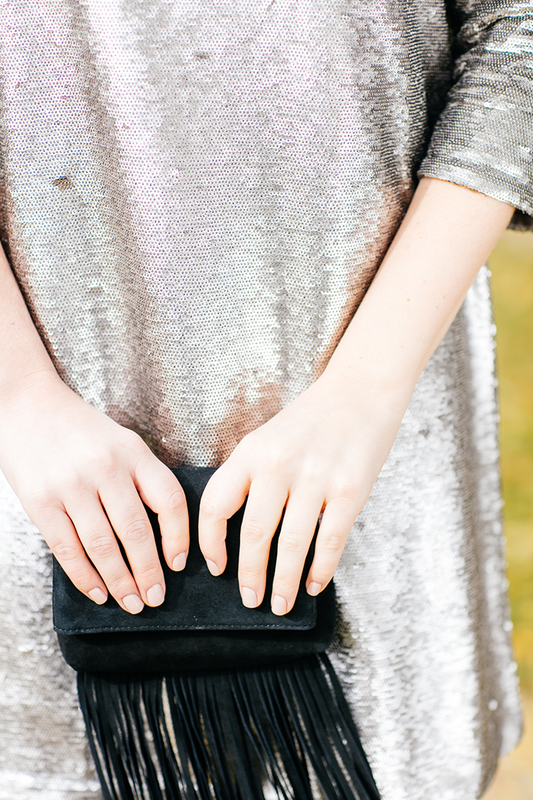 Shop more NYE-ready party looks at Nordstrom. Totally agree! It is so tempting to buy a crazy expensive dress for NYE but I never wear them during the year. This dress is perfect! Love the dress! I like the looser fit on sequin dresses and this one is so cute. Beautiful dress and definitely more budget friendly. You’re gorgeous! Gorgeous! I love tightly packed sequins like this! Really lovely look. Sequin dresses are so fun! Such a great steal! I love this festive dress especially paired with black tights and heels!